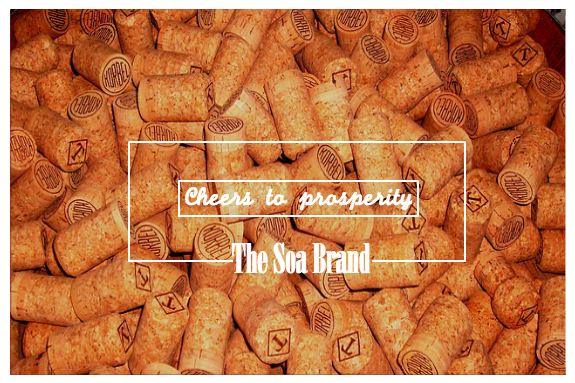 This year, The Soa Brand has gone through some amazing experiences and inspirational learning lessons. This year, we’ve mentored some amazing interns who have and will go on to do some life changing things. We completed our name change and rebrand, going from SOA Event Concepts to The Soa Brand and adding a list of new services that will allow us to do so much more with our current and future clients. We’ve added branding services for entrepreneurs looking to gain strategies and insight on growing and starting their businesses. We are gearing up to introduce Wedding Stories by Soa in early 2015. And of course, we have continued to perfect our existing practices for our event stories. With so many great things that have happened in 2014, naturally, we look forward to even more prosperous opportunities in 2015 and beyond. In the new year, we wish you prosperity, inspiring experiences, continued growth, success, love, and most importantly great stories.